Why should you use an Estate Agent when buying a property in Almería? 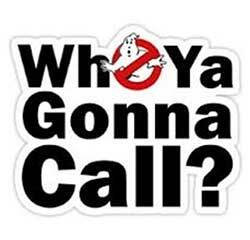 No not ghost busters! Call a legal registered Estate Agent and see how hard they work for you! For many years, estate agents as a profession has been labeled with a reputation of an industry manned by well-intentioned people who don't do very much but charge an awfully high fee for the privilege. However on the whole, this reputation is largely unfounded and in reality, could not be any further from the truth. Since the development of internet services, there has been an inevitable growth in the number of vendors selling their homes via alternative means to the conventional estate agent. Despite this trend, the vast majority of property sales are still, fortunately, handled by professional estate agents - and indeed we as an industry have also made good use of the web as a vital marketing tool. Despite the objections of some inexperienced, fledgling 'we can sell-your-home-quick' companies, property finders who work from their bedrooms and also certain sectors of the media encouraging people to 'do it themselves' to save money, a real estate agent is actually worth their weight in gold....... WHY? We know our market inside and out. We are knowledgeable of the types of properties in our area, the individual situations of purchasers looking for them and the current market values of properties within our province. We have our fingers on the pulse at all times of local market conditions which may be completely different to the national general picture. We have an immediate, live register of interested purchasers seeking property. We know through many years in business, how to pick up buying signals better than the layperson. What many vendors/sellers faced with the prospect of ultimately paying a significant sum of money to an agent do not know, is that there is much more to marketing and selling a property than merely taking a few photographs, placing advertisements in the newspaper and erecting a For Sale board outside. The process of selling a property in Almería is relatively easy if the agent has sufficient buyers on their portfolio. However the real work of any true, professional estate agent begins when a sale has been agreed believe it or not! keeping all parties informed, progress chasing and managing often tenuous chains. This is when the agent earns their crust - where one can distinguish between a quality agent and someone who is merely matches buyers to properties and who work on a wing and a prayer from day to day. The ability to impliment progress chasing - co-ordinating and keeping together complex chains at each of several stages. Tenacity - the ability to deal with somewhat difficult solicitors/abagados, surveyors and other professionals relating to a sale. To be a good peacemaker - placating sometimes angry vendors and buyers for whom the agent is always the focus of most blame if things go wrong. Diplomacy - sometimes telling people bad news. Keeping everything progressing smoothly through to notary and ultimately, completion. Have organisational skills - keeping appointments, making time for clients. They have to have the memory capacity of a PC - to remember all of the above and all of the properites on the books. Also acting as a marriage guidance counsellor - keeping calm when everything around you is collapsing! Choose a tried and trusted, long-established agency selling property within the province, who specialises in your type of property and has a proven track record in property sales and marketing. It is important to match the agent to the market. It is no good choosing an agent dealing with the high-end luxury market to sell an old traditional village house, and vice versa. Look for an office buzz. A busy agent's office will be a hub of activity so watch each office from the street and assess the mood before you walk in. Does the office look well organised and professional? Is each negotiator looking busy on the telephone or attending to clients - or are they just leaning back in their chairs looking at their watches, bored? Opening hours are crucial. As a seller, you will want to utilise all marketing opportunities possible to sell your home. Agents offering the longest opening hours should be high on your shopping list of requirements. Purchasers especially here in Spain rely on agents being open as their time is normally limited. Spanish Property Choice have never taken siesta's, we are open every day from 9.30am - 8pm and 10am - 2pm Saturdays, Sunday by appointment. Choosing an agent who is a member of a professional body will give consumers peace of mind. Membership means that the agent must act with probity at all times and that they are bound by strict codes of conduct to which they can be held fully accountable. 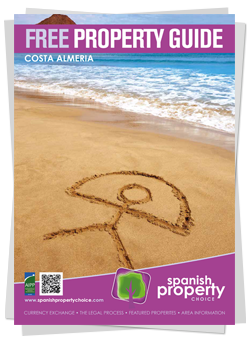 Spanish Property Choice are full members of the AIPP. Maintaining a high level of contact with your agent is vital so that they never have chance to forget either you or your property and for purchasers getting to know your agent is vital to enable them to find you your dream home. Personality comes into play a lot in the success of any business relationship, but none more so than the property industry. If you conduct yourself in a pleasant manner and engage with your agent developing a positive rapport, it can elicit that extra ounce of effort and conviction which can make all the difference when it comes to securing a sale. To help your agent further, ensure that you remain fully contactable throughout the day providing all changes in telephone and email contact details should a buyer be found at short notice and for purchasers to enable them to contact you to organise and help with the itinerary, accommodation and flights. It does not matter how much advice you read on the subject of buying and selling properties here in Spain or anywhere, it has been and will always be the most stressful thing you will ever do in your life except perhaps getting divorced, dealing with death or getting married! 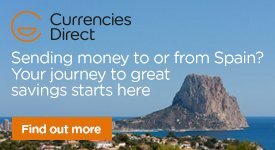 However, if you utilise the full facilities and advice at your disposal from Spanish Property Choice to minimise the risks as much as you can and we all work hard to nurture our relationship , you will dramatically increase your chances of a positive outcome and develop a friendship and support system for many years to come. Good luck!